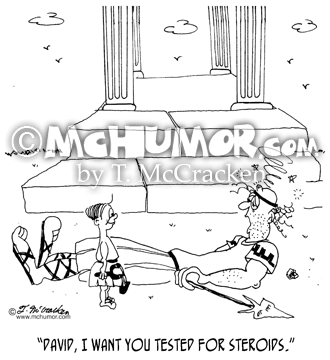 Drug Cartoon 5097: A fallen Goliath saying, "David, I want you tested for steroids." 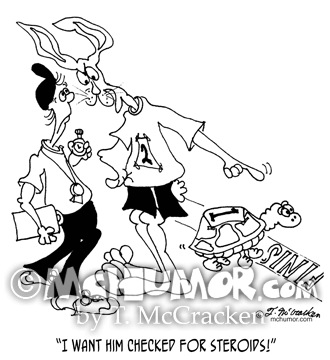 Running Cartoon 6723: The hare losing to the tortoise in a race saying to a referee, "I want him checked for steroids!" 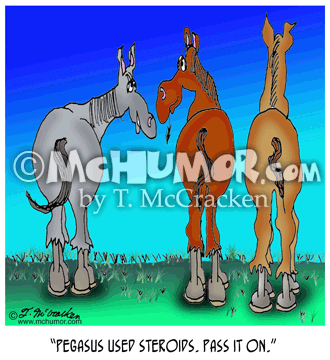 Horse Cartoon 5099: One horse saying to another, "Pegasus used steroids. Pass it on." Bird Cartoon 4803: A bird in a cage sticking its wings outside the bars and flying off, cage and all. 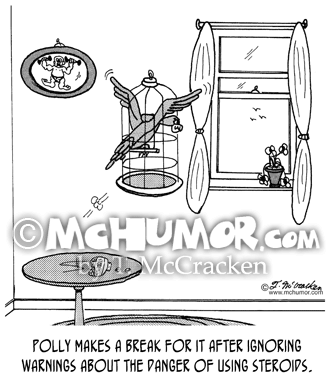 "Polly makes a break for it after ignoring warnings about the danger of using steroids." 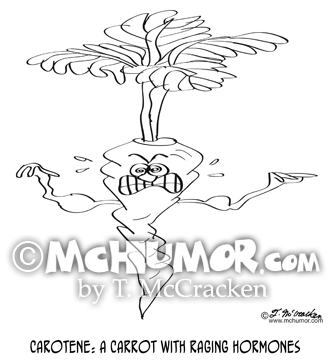 Carrot Cartoon 8872: Carotene: A carrot with raging hormones. 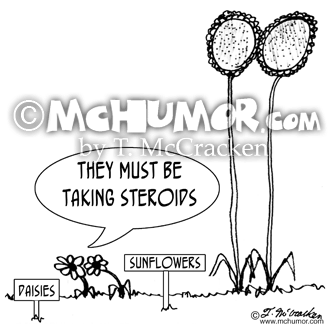 Flower Cartoon 2764: A daisy looking at huge sunflowers saying, "They must be taking steroids." 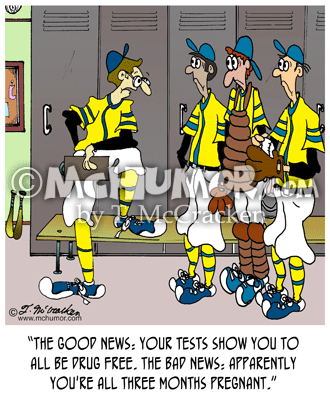 Baseball Cartoon 5384: A manager says to baseball players, "The good news: your tests show you to all be drug free. The bad news: apparently you're all three months pregnant." 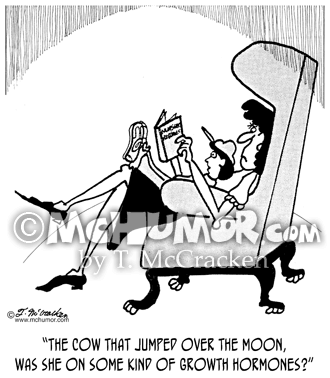 Farm Cartoon 3221: A kid asking his mother, "The cow that jumped over the moon, was she on some kind of growth hormones?" 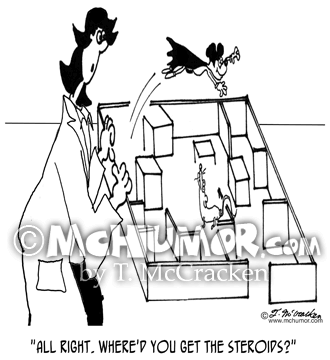 Lab Cartoon 5406: A researcher says of a mouse in cape flying over a lab maze wall, "All right. 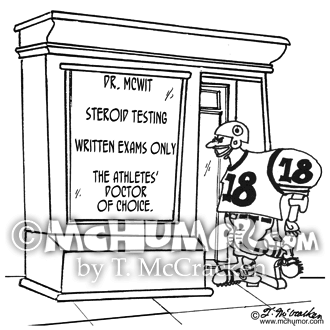 Where'd you get the steroids?"